In the drop down menu you find a selection of different countries. You can choose your country. 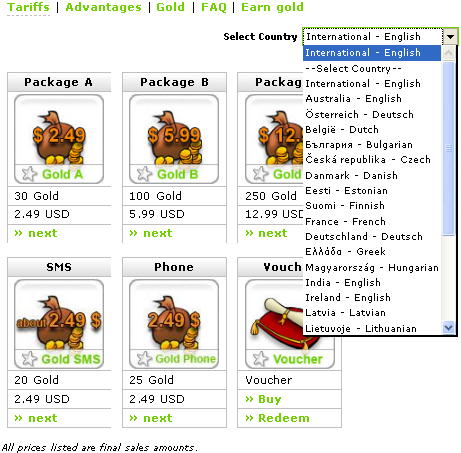 If you then select the tariff, you will see all paying methods which you can use from your country.